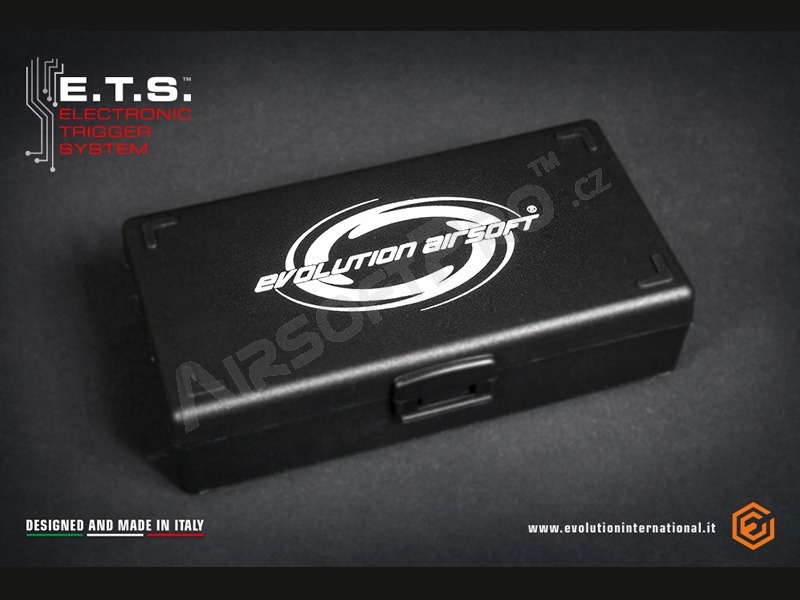 The Evolution Airsoft E.T.S.™ (ELECTRONIC TRIGGER SYSTEM) Drop-in version is an advanced device using state of the art technology compatible with most V2 gearboxes without the need of any modification. 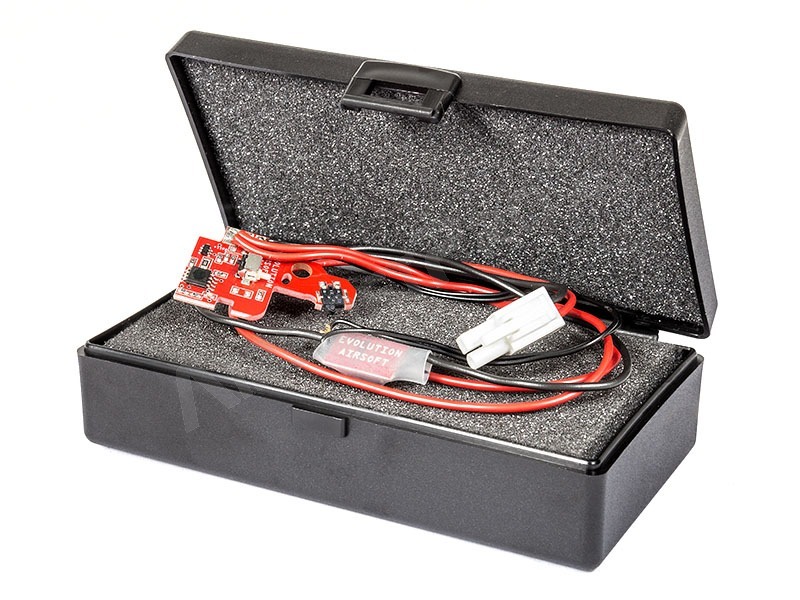 This new Drop-in version has been highly requested by those customers that do not have the necessary knowledge or do not want to spend even the few minutes necessary to install the standard version. The new E.T.S. Drop-in comes already fully wired and ready to replace the standard trigger switch. 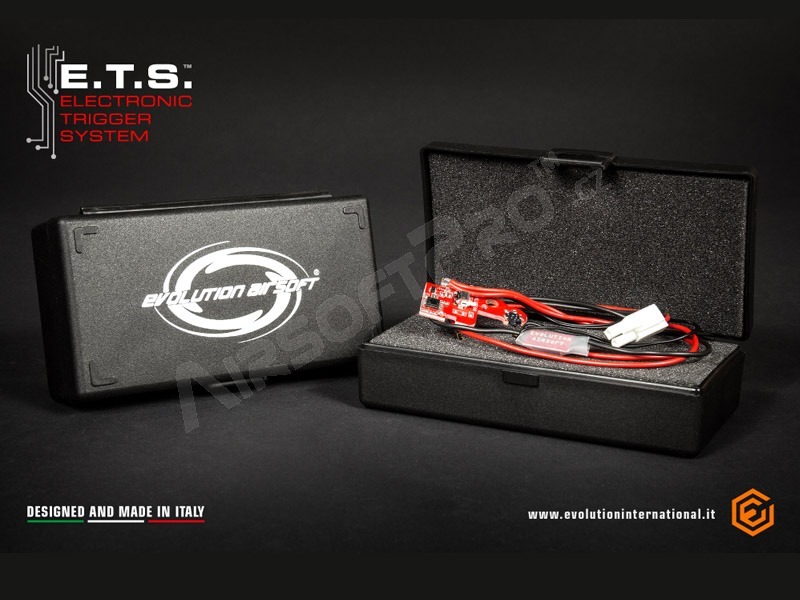 No adjustments or modifications to the standard V2 gearbox and its parts are required. 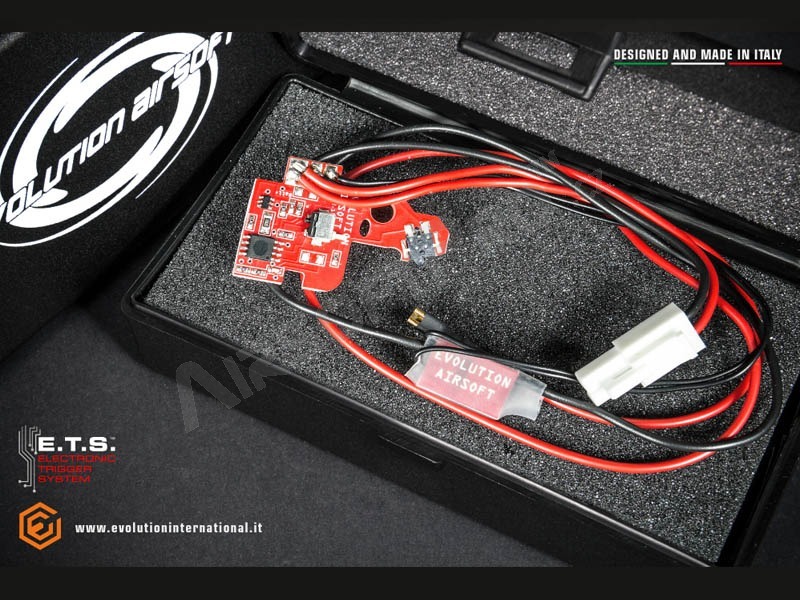 The only operations necessary to install the new E.T.S.™ electronic trigger and the Oversized Mosfet Unit™ are so simple that more than that is impossible: just remove the original trigger switch and the cut-off lever (the E.T.S.™ is fully digital and doesn’t use the mechanical cut-off), place in the gearbox the wired E.T.S.™ and.. and… that’s all, nothing more, you’re ready to rock!